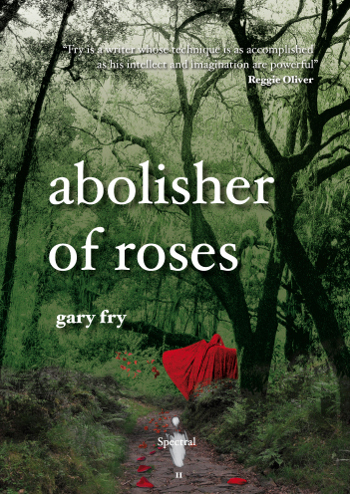 Gary Fry's chapbook 'Abolisher of Roses' is now available to pre-order from the Spectral Press website for £3.50UK/£4.50EU/$8US and $12 RoW. The chapbook, in a limited edition of only 100 signed and numbered copies, is due to be published in the first week of May. You can also get a four issue subscription (£13.50UK/$30US/£16EU/$40RoW) which will of course include my chapbook, Nowhere Hall. I have three stitches in my head - I'd have you believe they are a luminous blue, but they're possibly just blue, I guess only nighttime will tell. I do hope I glow in the dark. I haven't decided whether to tell folk I've had my muse removed (could confuse the non-writing people) or I've had a lobotomy (most suspect I had one years ago). I have a box of chocolate vampires and I haven't eaten them. I may never eat them. Last line I wrote in my WIP before venturing here (and twitter, and facebook, and twitter, and statcounter, and goodreads etc etc rinse and repeat): "So about this minion business," Rose said. Guess I should get back to work. You're being very circumspect as to the need for these stitches, Ms Gardner. :p Anyway, there's a barbershop here in Stoke, called 'Short, Back and Lobotomies'. I've not ventured inside. Wait, you can't just tell us in passing that you have three stitches in your head and NOT tell us why! My own guess is that one of your characters was impatient to get out, and just clawed his way out before he was written down. I hope you're okay. OMG! Kate, you're right. How did you know? I'm guessing it's happened to you. I'm thinking you had to fight off an intruder after those chocolate vampires. At least you weren't attacked by garden gnomes...or maybe you were. Perhaps the character was a gnome, and you thought, no...gnomes are overdone these days, and the bugger went for the light. That might have happened. I'm totally fine and milking the stitches, Katey. Was it the zombies again? I hope you're okay. I keep missing everything by not being able to blog daily like I used to.